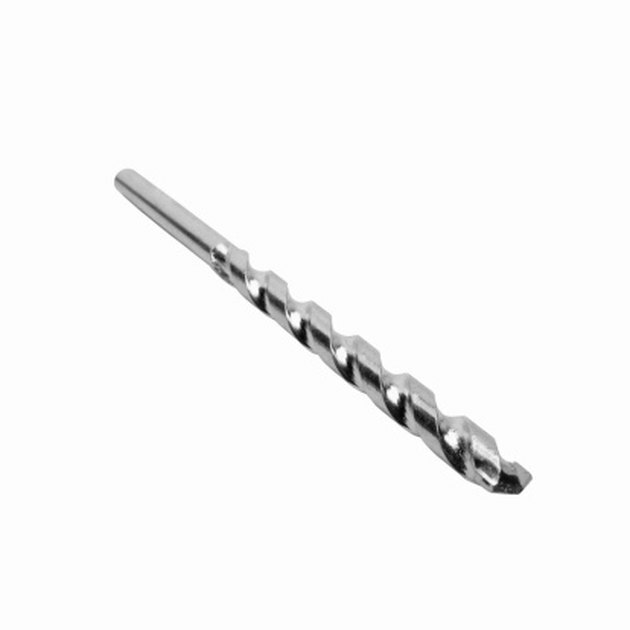 According to the Bosch Encyclopaedia, the cutting edge of a stone or masonry drill bit has a tungsten carbide tip and is usually chisel-shaped. The tungsten carbide adds great durability to the drill bit. The chisel shape gives the drill bit the ability to penetrate further into the stone without becoming blunt too easily. The right drill bit is a vital component of any drilling job. Makita makes a range of Thruster Percussion Masonry Drill Bits from 1/8 to 1 inch in diameter. The company claims to have the most rigorous testing of all their components. The Thruster has a carbide tip and features a reinforced, ground flute along the drill bit body for effective removal of masonry dust. If Thruster bits become blunt, they can be resharpened to extend their useful life. European company Diager has been making drill bits for more than half a century and now manufactures over 35 million bits a year. Their top-rated drill bits for stone and hard stone are the Booster-max and Booster-spline. They are made of chrome vanadium steel with copper-brazed tips. Each bit has three tips and six cutting edges to ensure a concentric hole. The shank has a progressive flute to remove debris. The bits are heat treated for long service life. Archer Products, Inc. sells diamond-tipped core drill bits. These are hollow cylinders rather than solid-bodied bits. There are two categories of bit available. One is Premium Core drill bits, for drilling medium to hard aggregates. The other is Premium Plus, aimed at the professional driller. The Premium Plus bits have a higher diamond concentration at the tip. Both kinds are wet bits, meaning that they require lubrication when used. Dry core bits are also available. For very heavy duty drilling through stone and rock, USA Rock Bit Inc. makes the USA Heavy Duty Reverse Circulation Roller Bits such as the 17-1/2 inch Four-Cone Welded Hole Opener. A degree of customization is available at this specialized end of the market. The Four-Cone Welded Hole Opener can be fitted with medium formation mill tooth cutters. These offer additional drilling capacity to the main cutting edge. A 22-inch Four-Cone Hole Opener is also available. What Kind of Bit Do I Need to Drill Marble?